If you're visiting Las Vegas over Independence Day, chances are one of the things you're most looking forward to is the Fourth of July fireworks display over the Strip. Because this is one of Sin City's most popular holidays, plan well in advance to scope out the best spot. Independence Day falls on a Wednesday in 2018, so the celebration has been shifted from its usual schedule. The main fireworks over the Strip will go off at 9:15 p.m. on Saturday, June 30, 2018, over Caesars Palace, with a smaller fireworks display on July Fourth from Mandalay Bay. Mandalay Bay's giant beach pool complex will host a party with reggae music by the Mystic Roots Band, starting at 8 p.m.
Head to the center strip in front of Caesars Palace to get the best view. Some other favorite spots include the patio at Cabo Wabo Cantina or high above on the Eiffel Tower. If you don't mind a splurge, the suites at The Cosmopolitan have sweeping views over the Caesars Palace fountain. The High Roller at The LINQ would be a fabulous spot to see the festivities, but seats are expensive and tend to sell out fast. If you want to have a meal with a view of the fireworks, try the Beer Park in Paris. Many people also line the pedestrian bridge between Bally's and the Bellagio. Fremont Street has a digital fireworks display on its giant canopy on Independence Day. In 2018, it will also feature a concert with Billy Ray Cyrus. The Plaza Hotel shot off a four-minute fireworks display in 2017 and may repeat the event in 2018. 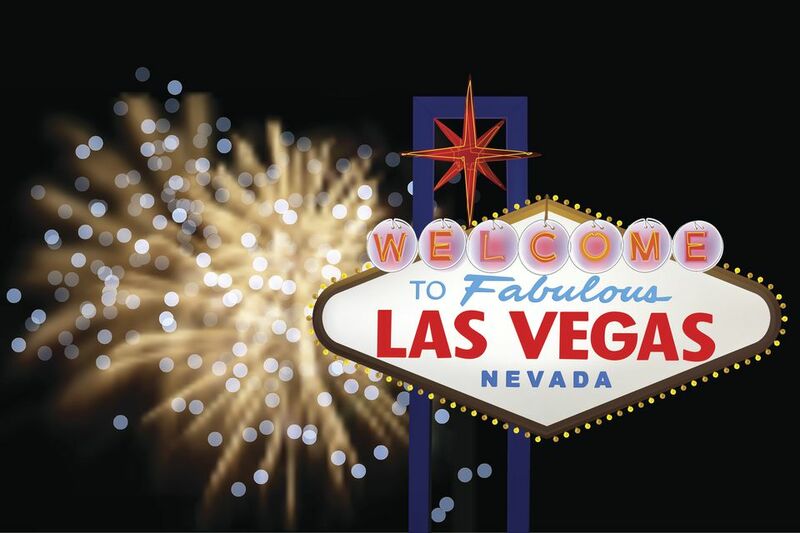 Green Valley Ranch Resort in Henderson and Red Rock Casino Resort & Spa in Summerlin have fireworks shows for those who want to escape the Strip's crowds. Both displays will begin at 9 p.m. on Wednesday, July 4, 2018, and are expected to last about 10 minutes. The Las Vegas Philharmonic will celebrate its 20th anniversary by performing a Star-Spangled Spectacular show at the TPC Summerlin Golf Course (15 minutes west of downtown Vegas) at 5 p.m. on July Fourth, followed by a fireworks display. The city of Henderson, just 20 minutes southeast of the Strip, will also have a free fireworks show at 9 p.m. in Heritage Park on the Fourth of July. The Las Vegas 51s baseball team will be playing against the Salt Lake City Bees at Cashman Field on Tuesday, July 3, 2018. A fireworks display will follow the 7 p.m. baseball game. Seats are relatively affordable and offer direct views of the fireworks.